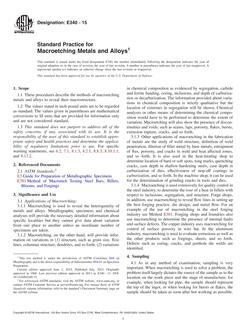 1.1 These procedures describe the methods of macroetching metals and alloys to reveal their macrostructure. 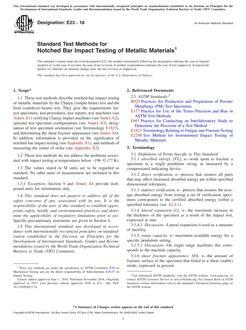 1.3 This standard does not purport to address all of the safety concerns, if any, associated with its use. It is the responsibility of the user of this standard to establish appropriate safety and health practices and determine the applicability of regulatory limitations prior to use. For specific warning statements, see 6.2, 7.1, 8.1.3, 8.2.1, 8.8.3, 8.10.1.1, and 8.13.2.